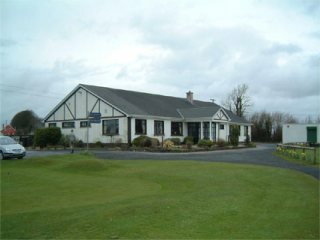 Galway East Tourism - Ballinasloe Golf Club in East Galway, West of Ireland.Galway East Tourism - Ballinasloe Golf Club in East Galway, West of Ireland. Ballinasloe Golf Club is an excellent 18 hole Golf Course suited to the beginner and the professional. Full bar and catering facilities. Practice Range on site. Founded in 1894, Ballinasloe Golf Club is one of Connaught's oldest Golf Clubs. A mature and testing parkland 18 hole course it is, open to Individuals and Societies. Playable all year round, Ballinasloe Golf Club offers a challenging variety of superb golf holes and it is noted for its excellent greens and dog legs of which there are eight. The Club House has full Bar and Catering facilities.